An anonymous Twitter user in Vancouver is hiding free marijuana around town, similar to how Twitter accounts in San Francisco and other major cities have been hiding free cash and leaving clues on the social network. 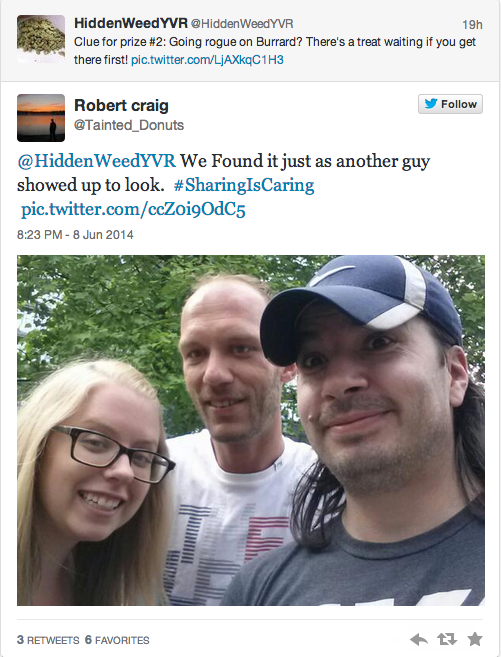 “@HiddenWeedYVR,” as Canada.com reported today, is following in the footsteps of “@HiddenCash“, which has over 466,000 followers. 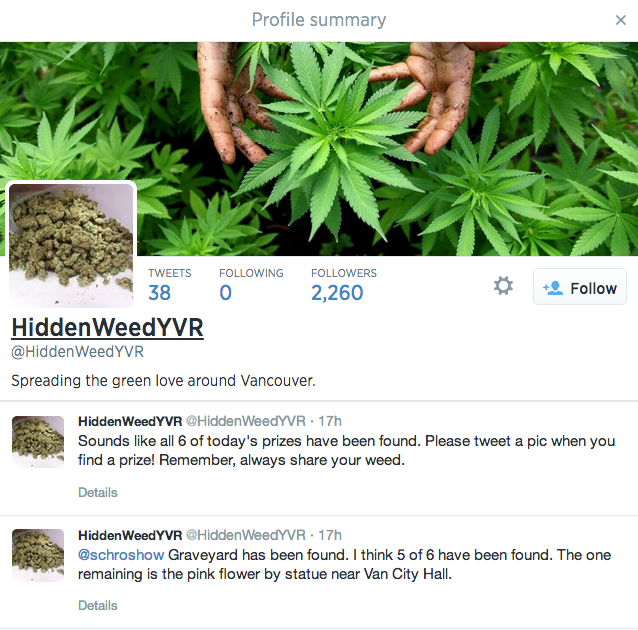 HiddenWeedYVR currently claims over 2,200 followers, who’ve been quick to show off their newfound presents as they find them. There’s no denying the recent scheme has won the hearts of dorito-eating, movie-watching Vancouverites thus far, but the question of how safe finding one of these packages is, is still up in smoke. 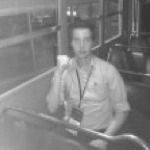 “For the person who finds it, possession without a licence is illegal. The act of delivering it to a place for someone else to find would be considered trafficking in a controlled substance under the CDSA,” Const. Brian Montague told CTV News. 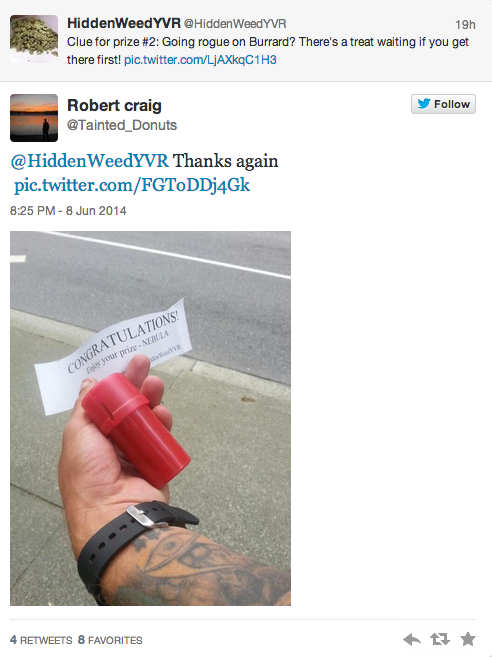 Everyday the account has been hiding about six different cannisters of the marijuana around Vancouver. A grinder in also included in each package, handy for the weed connoisseur who needs to break down the sticky substance. Meanwhile several media outlets have been quick to try and communicate with the anonymous Twitter user.